These are the perfect Acoustic Bands for weddings, corporate events & parties in Hampshire, locally sourced by our entertainment experts. Find the best Hampshire Acoustic Bands only at Alive Network, the UK's biggest entertainment agency. An exciting & vibrant Mariachi band who will engage and appeal to everyone who can hear them! With authentic costumes and a repertoire spanning from popular Mexican melodies to Latin American rhythms; Mariachi King will entertain your guests from the very first moment! Acoustic Sounds play their own unique acoustic/chilled out arrangements of well known tunes from modern rock/pop to older jazz classics. Featuring female vocals, piano & percussion, this act is perfect to set an atmosphere at any event. Infectious rhythms & a vibrant blend of Gypsy Swing, Funky Latin & Jazz Standards all played on an all-acoustic line-up of two guitars and double bass. The Hot Jazz Trio are a suitable additional for any event. Also available as a Quartet & Quintet. Want help finding your perfect Hampshire acoustic band? If you would like assistance finding the perfect live acoustic act for your event in Hampshire, simply give us a call or submit the quick enquiry form below and one of our talented entertainment coordinators will be happy to assist. 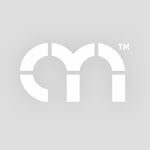 Talented professional session musicians offering a fresh acoustic take on current and classic pop, rock, jazz and soul. This experienced duo is in high demand thanks to their dynamic repertoire and a reputation for perfectly pitched performances. Performing unobtrusive acoustsic versions of popular songs or mingling amongst your guests whilst playing; Acoustic Companions will be the perfect backdrop to any wedding, corporate event or party! A professional & experienced Vocal Guitar and Double Bass Duo who deliver an easy listening set of Pop & Rock hits across the decades. From The Beatles to Bruno Mars, Johnny Cash to Arctic Monkeys, All Acoustic will create the perfect backdrop to any type of event! Something Suburban are an acoustic duo consisting of chic female vocals and guitar with loop station. Performing upbeat rock & pop classics, this talented twosome can create the atmosphere you want with music from Etta James to Taio Cruz & more! Also available as a trio & quartet. 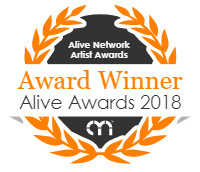 Alive Network are Hampshire's largest live music and entertainment agents and one of the leading live entertainment agencies in the UK. We specialise in providing Hampshire's best live acoustic artists, singers, musicians, DJs and entertainers for events across Hampshire.